How to Install, Operate & Troubleshoot an Electric Actuator | Indelac Controls, Inc. 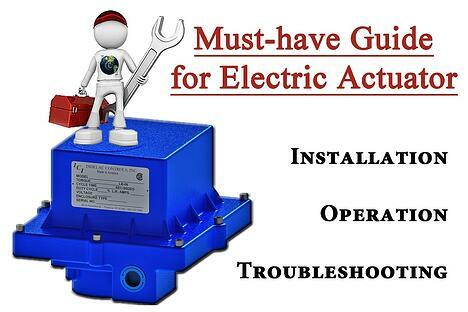 This installation and maintenance manual explains how to install and maintain electric actuators. Information on installation, disassembly, reassembly, operation, troubleshoot and parts is provided. Every actuators manufacturer should provide an installation and maintenance manual to its customer but in some cases, they are incomplete or don’t even make it to the end-user on the field. So here is a somehow generic installation, operation and maintenance manual that could be used for most electric actuators on the market. Note: our installation/maintenance manuals, specific to Indelac actuators, can be found here. Most of the time, the actuator is shipped in the open position from the factory, it is important to make sure the valve and actuator are in the same position before mounting the actuator on the valve. 2. Remove valve mechanical stops. CAUTION: DO NOT REMOVE ANY PARTS NECESSARY FOR THE PROPER OPERATION OF THE VALVE, I.E., PACKING GLAND, GLAND NUT, ETC. 3. Check again that the valve and actuator are in the same position. 4. Install mounting hardware on valve, do not tighten bolts securely at this time, mount actuator to valve, and once actuator screws have been started securely tighten all nuts and bolts. NOTE: ACTUATOR CONDUIT ENTRY IS NORMALLY POSITIONED PERPENDICULAR TO PIPE LINE. 6. Wire actuator using proper wiring diagram. 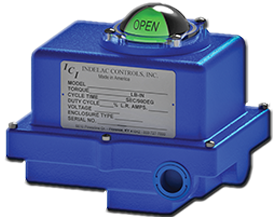 Indelac supplies the appropriate wiring diagram inside the cover of each actuator. CAUTION: BE SURE POWER IS OFF AT THE MAIN POWER BOX. 7. Turn on power to actuator. CAUTION: USE EXTREME CAUTION, AS THERE ARE LIVE CIRCUITS THAT COULD CAUSE ELECTRICAL SHOCK OR DEATH. 8. Operate the valve to the close position, check the alignment. 9. Operate the valve to the open position, check the alignment. 10. Replace cover and secure cover screws. Two Position Actuators: Set of cams and switches. Modulating Actuators: Set of cams, switches, feedback potentiometer and a positioner. As this information is listed it is important to pay attention to all of the actuator specifications relative to the valve specifications and system requirements. If the actuator is not properly sized for the valve and application the life will be shortened or it may not work at all. NOTES ON MAINTENANCE PROCEDURES: WARNING!!! In all cases, never operate an automated valve while under pressure or in a live process. Always disconnect supply air or voltage before any disassembly or maintenance is performed. Always be aware of the area classification for electrical service. Shut off and remove all electrical equipment from a hazardous area before performing any maintenance. If ever in doubt, choose safety first!